Cut losses to the atmosphere, help ensure nitrogen moves to the root zone, and protect fertilizer investment. Contains a proven active ingredient, NBPT, and a superior penetrating agent. Now there’s a better way to reduce loss of nitrogen to the atmosphere. N-Edge® nitrogen stabilizer from CHS provides a valuable two- to three-week window of time for rain or incorporation to move fertilizer to the root zone, improving profitability and nutrient stewardship. Scroll to view more features, download an overview sheet, and review product and safety data sheets. CONTACT US today to learn more! 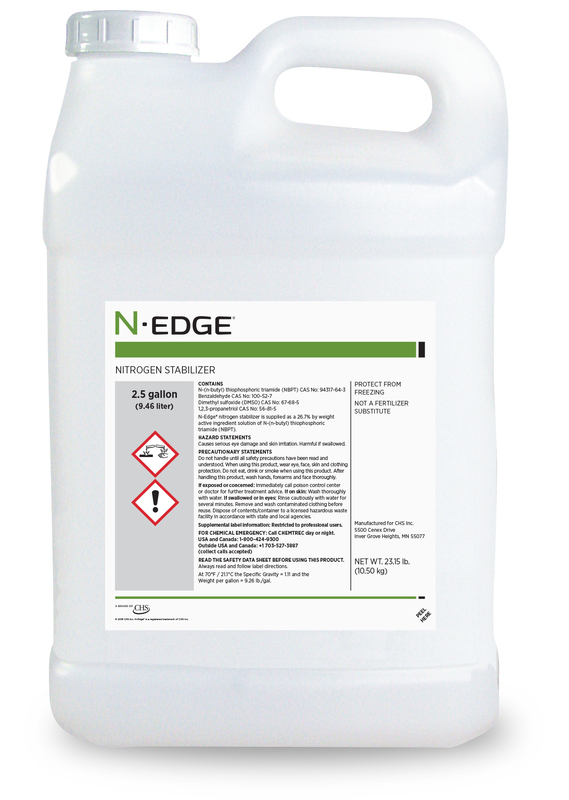 WHAT GIVES N-EDGE® THE EDGE? Ensures the proven active ingredient (NBPT) spreads throughout the treated granule. 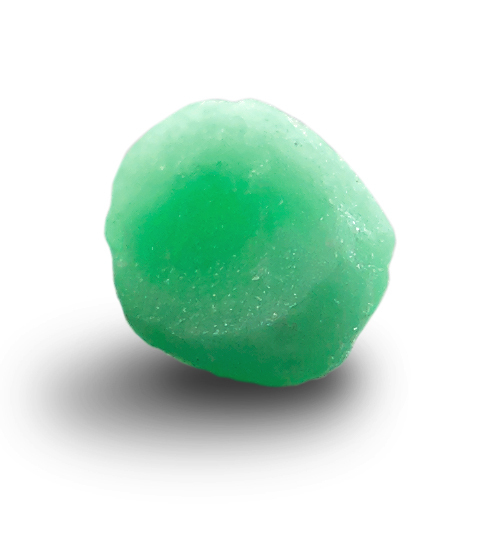 Penetrates better, dries faster and enables treated fertilizer to perform well under a wide range of conditions. Bright green color shows where treated fertilizer has been applied, helping to ensure nutrients are in the right place. Increases the nitrogen efficiency for all crops, turf and forestry by reducing nitrogen loss to the atmosphere. N-Edge® nitrogen stabilizer from CHS protects growers’ fertilizer investment, helping to ensure optimal nitrogen availability during critical growth stages for more consistent yield potential. Recommended restrictions: Use in accordance with supplier’s recommendations. Read the entire label before use. Use according to label directions. Read the entire Conditions of Sale and Limitation of Warranty before buying or using this product. Always wear proper personal protection; use Neoprene gloves (Ansell Edmont Neox Number 9-912) or equivalent, long sleeves, long pants, and chemical splash goggles when handling N-Edge nitrogen stabilizer. CHS is a 4R Partner. Learn more about the 4Rs of Nutrient Stewardship. For agronomic, economic and nutrient stewardship benefits, ask your agronomist or CHS representative for N-Edge® nitrogen stabilizer. I’m ready to grow with N‑Edge®.